New Wave Outpost Forum • View topic - Eurythmics are remastering (some of?) their music videos! Eurythmics are remastering (some of?) their music videos! 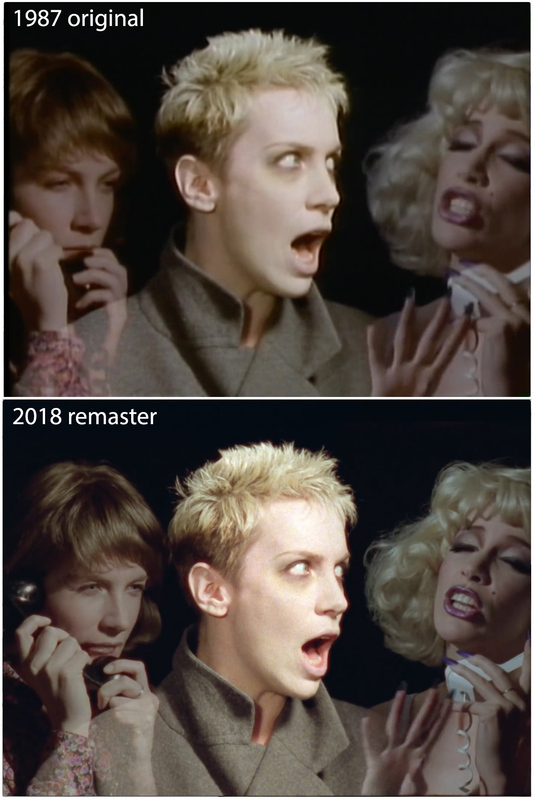 Back in May 2018, Eurythmics released a remastered version of their classic music video of "Sweet Dreams". It was a noticeable improvement even though it seemed only to be a professionally-made HD upscale from the SD video master. Not entirely sure about that, but that is how it seemed. Still good! Now, August 2018, Eurythmics have released a remastered version of the music video of "You Have Placed a Chill in My Heart". This one is a true remaster, remade from the original film elements. They found the original unedited film elements, scanned them in HD and rebuilt the whole video to match how it was originally made 30 years ago (but now in HD). Last edited by Willbfree on Fri Aug 31, 2018 2:14 pm, edited 1 time in total. (Even though some comments are years old, this is the remastered version - they were able to replace the previous version at the same location without losing the comments). Funny, just the other day, I saw Never Gonna Cry Again for the first time. Didn't even know there was a promo video for it. I had only seen one from Old Grey Whistle Test or something similar. Thanks for the update. Leeching now. Beethoven is available in 3k . Just remaster and reissue Savage video album already! eLeMeNOhPeaQ wrote: Missionary Man, as well?! Thanks! That looks fantastic! Only the stop-motion close-ups of Annie's face are upscaled, the rest is perfect from the film elements again. They are surely planning some kind of high-def release with all this work going on!